We designed this cake for twins Evan and Alex's 1st birthday. They love race car cakes so we decided to create a fancy kids cake to make their 1st birthday extra special. Fondant and buttercream is used throughout this cake and it is filled with our special canoli filling. 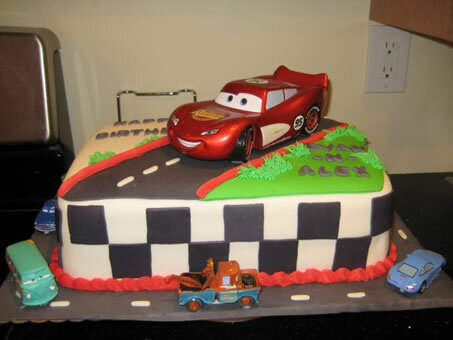 Let us make your kids birthday party cake special with a great tasting product by Land of Cakes New York.